*** FIRE DEPARTMENT REPORTED – NO MEDIA COVERAGE *** On the afternoon of September 13, 2017, the Farmers Branch Fire Department was dispatched to an automatic fire alarm at a 14-story Federal Building located at 4050 Alpha Rd. Upon arrival, smoke was showing on the ninth floor. A full assignment response was initiated. 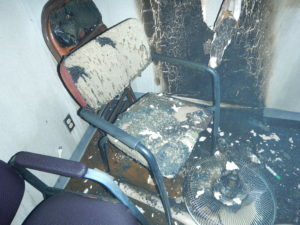 Upon investigation, fire crews identified an oscillating fan and chair on fire in a ninth floor conference room. 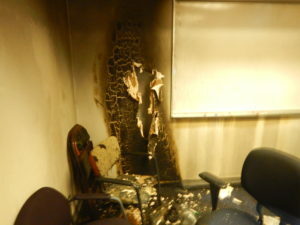 One sprinkler head activated and extinguished the fire. Fire was determined to be accidental. No injuries occurred.